Armed Forces Day in South Africa is celebrated on February 21. The holiday commemorates the creation of the South African National Defense Force (SANDF) in 1994. The armed forces of South Africa in their modern form were established in 1994, following the fall of the apartheid and the country's first democratic elections. The SANDF comprises several service branches: the South African Army, South African Navy, South African Air Force, South African Military Health Service. It is involved in a number of internal operations and participates in United Nations peacekeeping missions. President of South Africa is the Commander-in-Chief of the country's armed forces. 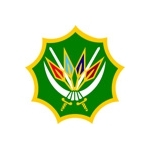 The SANDF is overseen by the Department of Defense headed by the Minister of Defense and Military Veterans, who is also the head of the Department of Military Veterans. South African Armed Forces Day was established to honor the country's servicemen and servicewomen. It is celebrated each year with military parades and official ceremonies. Units and soldiers are awarded with special awards and medals for their bravery, patriotism, commitment, dedication, and excellence. Family members receive decorations on behalf of soldiers who died in the line of duty.